In what has been a big year for Freeze, they have so far celebrated their 10th anniversary in the North West with a series of events. And as 2015 draws to a close, they recently revealed their final run of shows taking place in their home of Liverpool, including two free parties. 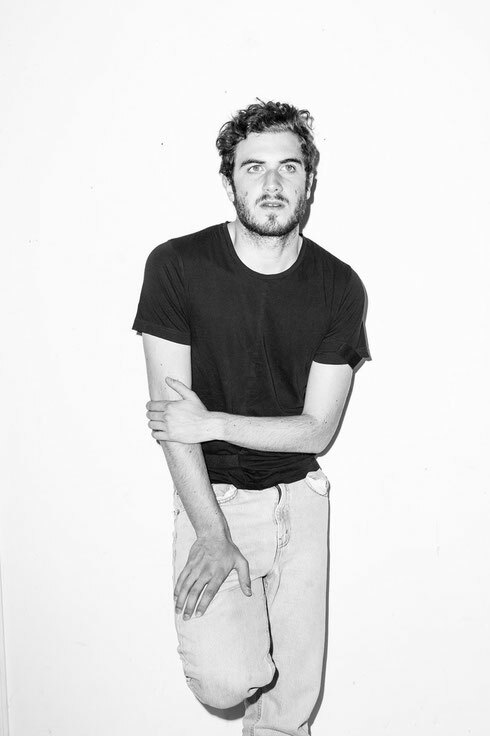 The Freeze 10th birthday party itself is headlined by Nicolas Jaar on Saturday 14 November, in the intimate confines of the newly refurbished The Garage venue. The Young Turks regular has been voted the number 1 touring artist three consecutive years with his band Darkside on RA, his 2012 Essential Mix was the mix of the year, and sound-tracked Dheepan, the Palme d'Or at Cannes 2015 winner. Nicholas is a composer and recording artist, from his critically acclaimed ‘Space Is Only Noise’ debut album to Darkside’s ‘Psychic’ with Dave Harrington, this is a chance to see him perform in Liverpool, with a DJ set featuring live elements. Support comes from Powell who has already had a big year, fusing post-punk with techno into experimental sonic odysseys. 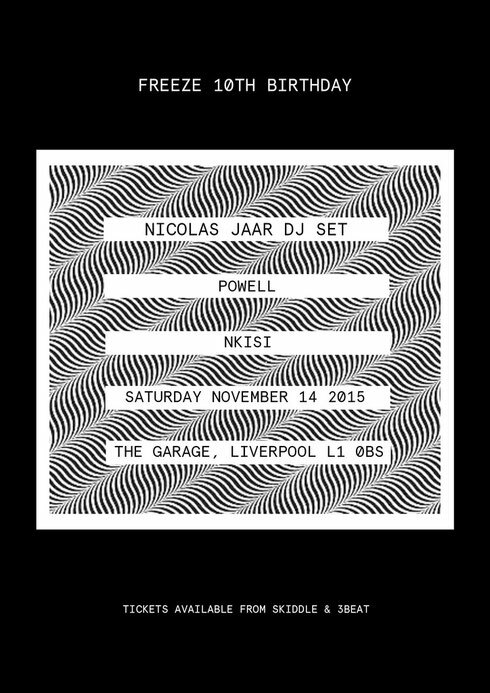 December sees two further parties take place at The Garage, with the first on Saturday 5 December. 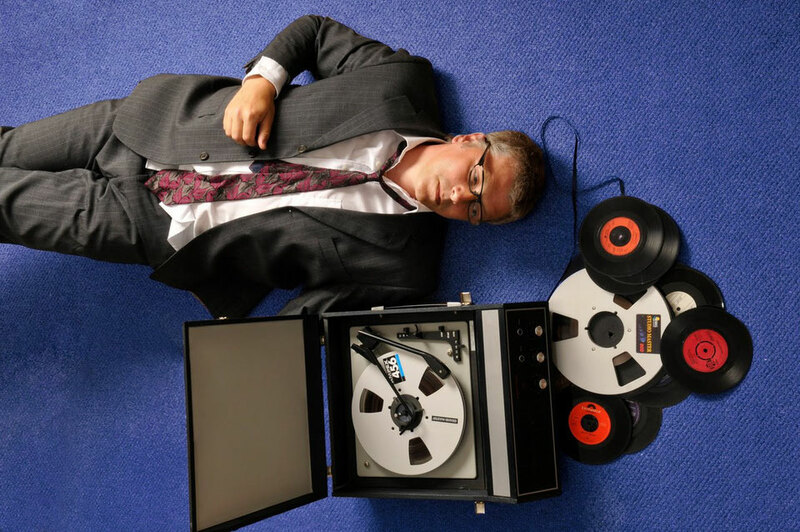 Starting his career in the local clubs of the region back in the ‘70s, Greg Wilson is possibly recognised as one of the most important figures on the UK dance scene and a mainstay of the festival circuit. As well as his new multi-media label Super Weird Substance, his Radio 1 Essential Mix was one of ten classics chosen to represent the 17-year history of the mix series. Greg brings an all manner of disco, funk, house and rare-groove woven into his sets, celebrating 40 years in the dance music industry with a 5 hour adventure. Then Gilles Peterson returns after joining up with Bonobo back in the summer at the Bombed Out Church. As a UK DJs, broadcaster, producer, compiler, record label boss and avid record collector, he joins the dots between soul, hip-hop, house, Afro, Latin and electronica. With his annual Worldwide Festival and awards show, Gilles’ travels continue to enrich and expand his vast record collection to create musical journeys, with an extended set taking place on Friday 18 December.